The theory of economics comprises a variety of approaches and schools of thought that result from the range and manner of analyzing economic reality. 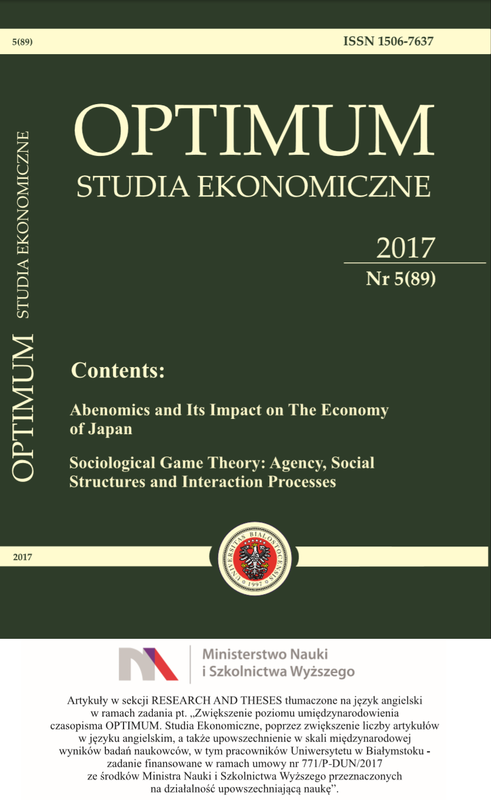 The diversity of methods used to asses economic processes encourages one to specify a certain number of research methods from the perspective of their essence and significance in the economic theory. The aim of the paper is to characterize selected aspects of economics in terms of the way in which economic processes are presented. The authors mention three perspectives: institutional, Austrian and neoclassical – all of them crucial for presenting the most important issues in the theory of economics. Obviously, the presented assessment of the importance of these approaches is selective and focuses solely on certain issues. It, nevertheless, seems interesting both because of the used instruments and of its theoretical value.